City Es Houx is a house 17 th newly renovated. 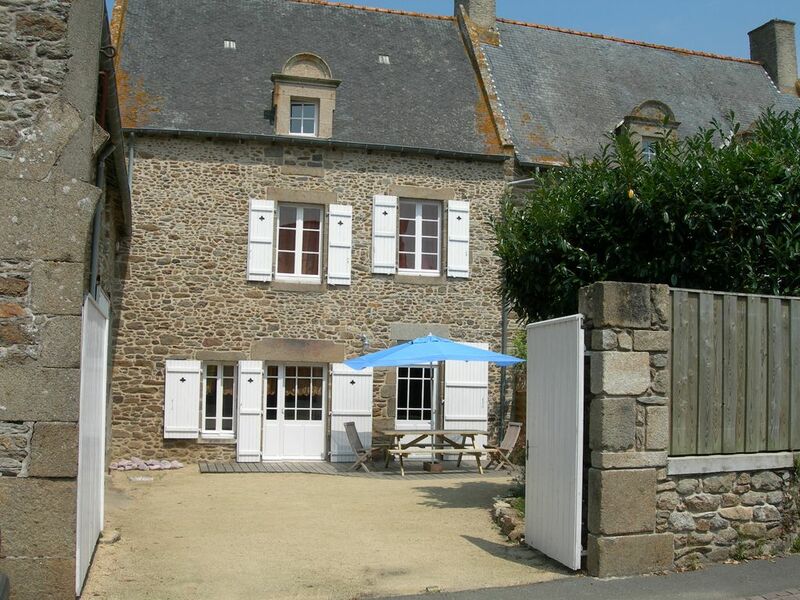 Rental adjoins our house, its location in a peaceful environment on the outskirts of the city of St Malo makes it an ideal base to discover the country Malo. The court is closed and private, it offers a wooden terrace facing south and access to the barn that can be used to store the bulk material. The house of about 110 m2 is spread over three levels. The ground floor with kitchen, dining room, living room with a large fireplace. On the first floor a large landing overlooks a bedroom (bed 140), laundry with washing machine dryer and a large wardrobe, a toilet and a bathroom. The third level includes two bedrooms, one for a 140-bed and the other two beds of 90. Teak flooring in the toilet and bathroom, oak everywhere. Beautiful house. A most enjoyable stay. This is a beautiful house, very clean and well maintained. The host was very welcoming (a bottle of cider for the adults and sweets for the children on arrival), gave helpful information but was otherwise happy to let us get on with our holiday. Close to St Malo and all services. Host is in the process of constructing a second bathroom which will be a welcome addition. We will definitely be booking this property again. Casa muy bien equipada y una situación perfecta,entre la playa y la ciudad.Una anfitrión muy eficiente Pasamos unos días muy agradables.Como única pega las escaleras,efectivamente falta un baño en las habitaciones de arriba. It is located less than a kilometer from the main roads to Mont St Michel, Dinan or Dinard.